Funny Cat Bathroom Art. This quirky cat art is of my cat, Panda, as he admires the mess he's made on the bathroom floor. 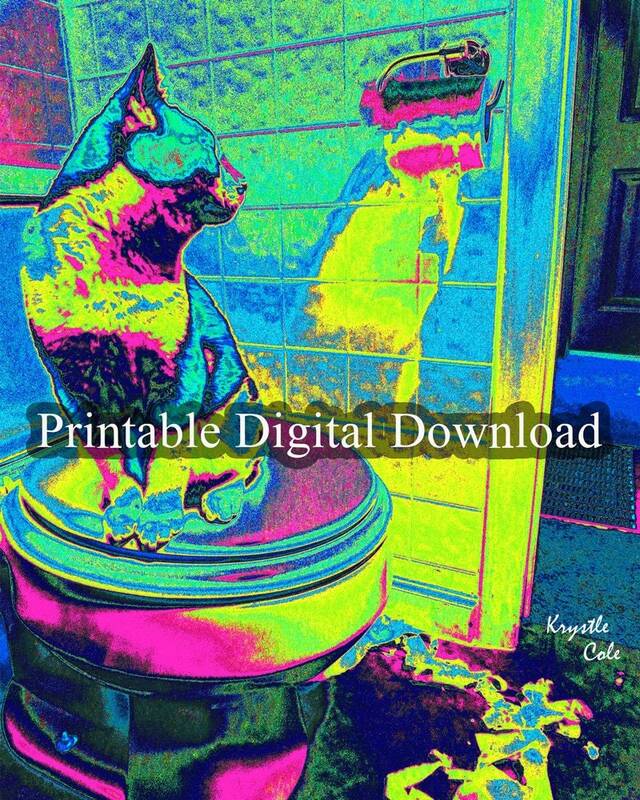 This humorous cat artwork would be a purr-fect gift or purchase for anyone who likes cats, cat humor, cat wall art, funny cat art, artistic cat pictures, or modern cat decor.